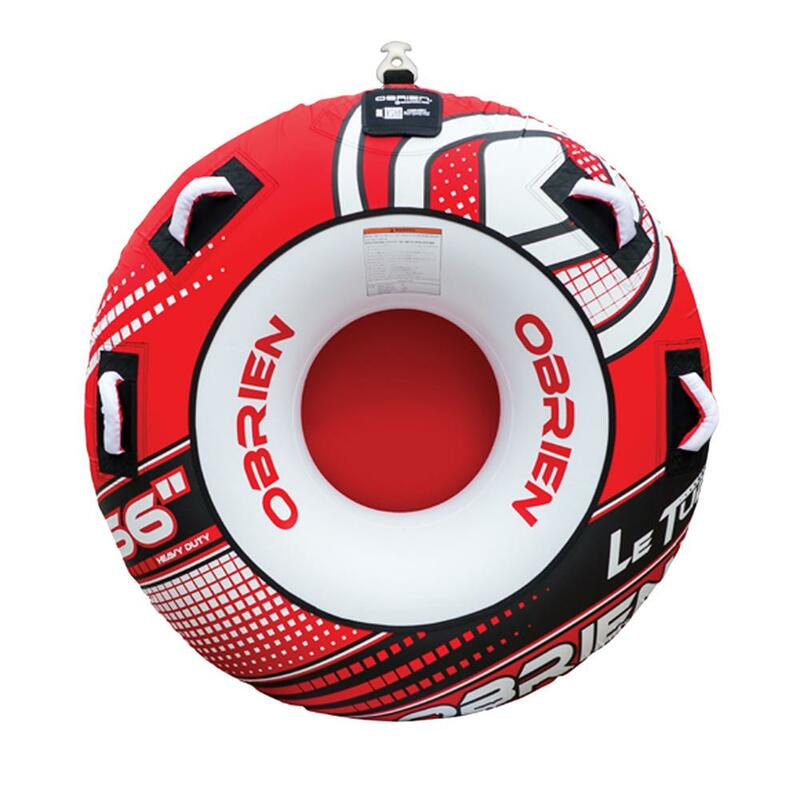 The O’Brien Le Tube Water Tube gives a great, fast ride for one rider. Four handles with EVA knuckle guards offer plenty of choices for tricks and fun. The durable PVC foundation and Denier nylon covering mean many years of fun. "what is weight limit for this tube"
"This tube has a weight limit of 170 lbs!" able to get the marina to fix it up for us. Other than that, it held up well and seems to be a good one! Great quality, and fast shipping! !